There are days when our burdens, be they physical or emotional, become impossible to ignore. Days when we feel consumed by the weight of them. Chained to our hard circumstances. Dragged down into a dark place. I prefer not to talk too much about having chronic illness, although it’s an inescapable fact that faces me each day. It demands enough. It has stolen too much. So much that I tend to want to ignore its presence and pretend I am fine, doing okay, even when I’m not. It feels better to plaster a smile on my face and seek to maintain a positive outlook on life. It seems less bothersome, less of a burden to fight the good fight of faith and try not to yield to dismay. Or give in to self-pity. But sometimes? Sometimes I am just too tired to fight against the pain. Sometimes I just want to sit and cry. Sometimes I lose sight of my loving Saviour sitting in the ashes with me, holding out His hands to receive. Because God doesn’t want us to bear our burdens alone. He longs for us to turn to Him. To offer up our pain and problems like a fragrant thing. Because sometimes it’s truthfully all we are able to give to Him. And that’s okay. It really is. We might not feel like it but we can learn to praise God in the storm, sense His presence with us and gain comfort in knowing we are not alone. I’m so grateful for God’s grace in my life. His comforting embrace. His enabling when I am weak. For words coming when I feel drained and dry. And for being able to share my 5 minute(ish) poem with the fabulous five-minute-friday crew. This week’s prompt is “burden” and you can join your words here. So beautiful, Joy. Such precious truth. Our only true burden bearer. Jesus, the sacrifice of praise at work in us pouring forth worship where we least expect to be able to give it. I am so sorry you have to bear so much pain daily. May God continue to pour out His anointing on you- you are such a gift of encouragement right in the midst of all the awful hard you are walking through. Praying for you tonight. May the balm of our LORD bring relief in your pain and sweet rest in His arms tonight. Tanya, it’s a joy to welcome you here! I’m so glad our paths have crossed in the Five Minute Friday link up and I’m sorry to have lost touch with you in the blogosphere. You understand the struggles of having M.E more than most, and I deeply admire your ability to seek justice for those who find it hard to be taken seriously or supported by society. It’s awe inspiring. I hope your recent relocation hasn’t sapped you too much. I try to participate in #FMF as often as I am able to. The last few prompts have wrung some intensely personal poetry out of me. Although I would prefer to write about other topics than pain, illness, shame and past abuse, those things are still pretty close to the surface and emerge if given the right nudge. 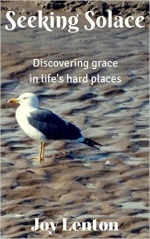 Going with Holy Spirit’s flow doesn’t necessarily produce the kind of poetry I would prefer to write! Your poems are always so beautiful. And this is one of my fave Casting Crowns songs. This is so beautiful, Joy. Thank you for being honest about the weight of chronic illness. It really can get discouraging. Thank you, too, for these hope-filled thoughts that Jesus is sitting right there in the ashes with us and longing for us to hand over our burdens to Him. I love that sweet picture of His love and tenderness towards us. May God give us more and more grace to praise Him in the midst of the storms of life! Love and hugs to you! Wonderful way to look at it joy, there is healing in facing our limitations and knowing that He is not.